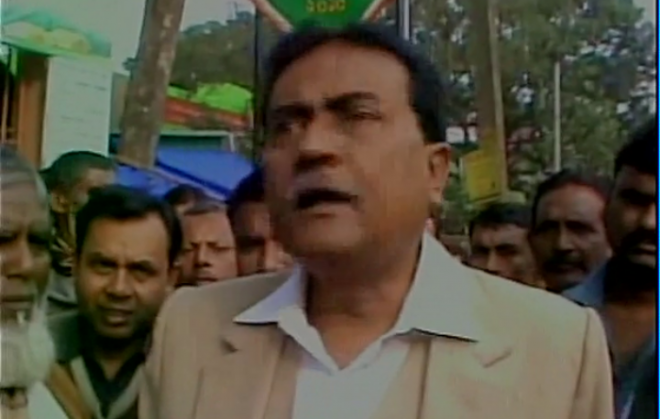 Loudmouth TMC MP Idris Ali, infamous for his derogatory remarks, this time targeted Prime Minister Narendra Modi. He alleged that the Modi had links with terrorists which is why the Pathankot attack took place just a few days after his Lahore visit. "I feel PM Modi has links with terrorists which is why Pathankot attack took place. Why did the attack happen right after his visit to Pakistan? This is my personal opinion," he alleged as reported by CNN-IBN. Trinamool Congress has, however, distanced itself from the party leader's remark. Party MP Derek O'Brien termed the remark as crass and unhealthy and assured that disciplinary action would be taken against the erring MP. This is not the first time that Ali has pulled out a shocker. On January 4, Ali referred to BJP leader Roopa Ganguly and Congress's Deepa Das Munshi as "raam-chagol" (a big goat) amid spontaneous applause by party flag-bearers. Last year, Ali had warned that the state (Bengal) will burn if CM Mamta Banerjee is framed in the multi-crore Saradha Chit Fund scam. He also courted controversy when he threatened to "tear off the tongue" and "chop off limbs" of CPI-M leader Gautam Deb if he tried to indict Banerjee in the Saradha Scam.